"She was met by a man who claimed to be her sister's friend and was taken to an address in Failsworth, Oldham before being sold to another man. In July, she was married under Sharia law in Rochdale. The woman was later taken to hospital for an appointment by a woman who acted as an interpreter and told staff she wanted an abortion." An interpreter at the hospital uncovered the plot. Some gangs suggest that a pregnant wife is useful for securing immigration status in the UK. 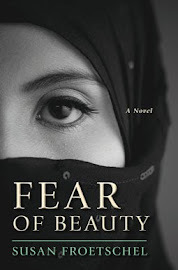 Imagine the vulnerability of young women in a country where the CIA World Factbook reports the overall literacy rate is 28 percent, 12.6 percent for women; where the child labor rate is 25 percent; where more than 60 percent of the population is under the age of 24; the unemployment rate is estimated as high as 35 percent; and one third of the population lives below the poverty line. Imagine a land where there is one physician for every 5000 people, one nurse or midwife for every 10,000 and one hospital bed for every 2000 people, as reported by the World Bank, with rates much lower for rural areas. 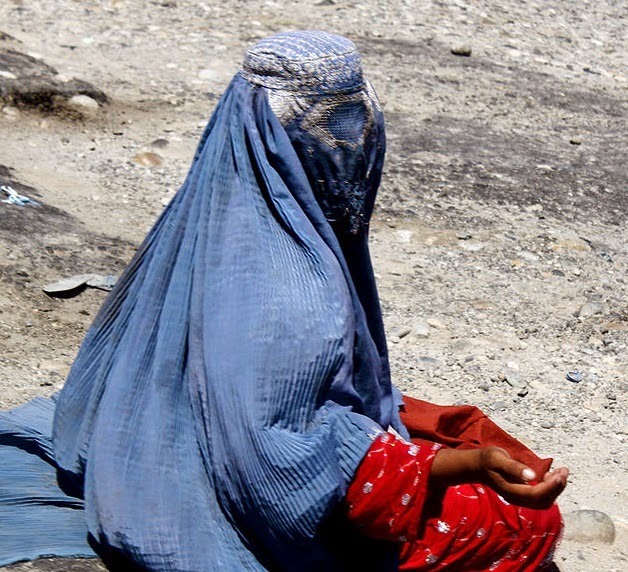 The rates for Afghanistan are but a fraction of what's available in the developed nations like the United Kingdom. 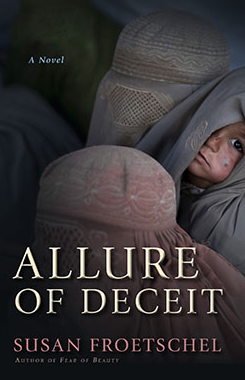 Allure of Deceit is set in Afghanistan. No one should suggest that the tale of a sham abortion that haunts one caregiver, ruining the lives of many, is unrealistic. Photo by Todd Huffman and from Wikimedia Commons under the Creative Commons Attribution 2.0 generic license. He writes: "A woman in conservative parts of the country without male support can do nothing but beg to survive."